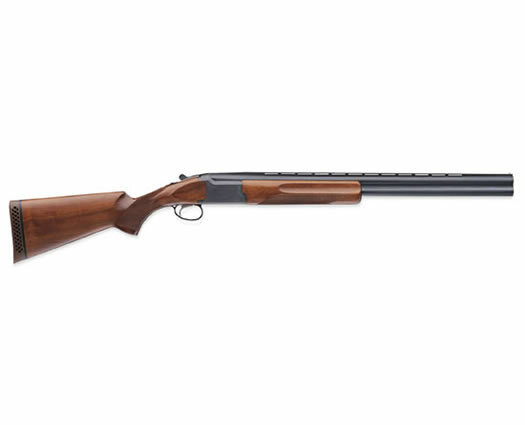 The Browning Citori Satin Hunter was designed with a top-tang barrel selector/safety, hammer ejectors and a single selective trigger. The stock is a Grade I walnut and has a satin finish. It has a steel receiver with a matte blued finish and scroll engraving in corners, along with a Buck Mark in the center. It comes bundled with three Invector Plus choke tubes (F, M, and IC), a 1-inch black ventilated recoil pad and Vector Pro lengthened forcing cones.